The fifth-graders at Cornelius Elementary School listened intently as their classmate’s mother spoke to them on Career Day recently. Khassidy’s mom, Ieshia Champs, was telling students to stay in school if they want to become all the things they had just told her they want to be—a brain surgeon, veterinarian, basketball player, teacher. This entry was posted in Achievement/Recognition, HISD: Our Story, News, Parents and tagged Cornelius ES on May 31, 2018 by HISD Communications. Ieshia Champs, a single mother of five whose law school graduation picture went viral on social media, will be a featured speaker at Cornelius Elementary School’s inaugural Career Day. Three of Champs’ children attend Cornelius Elementary. The event will take place Friday, May 18, 2018 on the Cornelius campus (7475 Westover, Houston, 77087) from 8:30 to 10 a.m. The recent Texas Southern University Thurgood Marshall School of Law graduate gained notoriety after a photo of her dressed in her cap and gown surrounded by all five of her children was shared hundreds of thousands of times on social media. This entry was posted in Elementary Schools, Magnet/School Choice and tagged Cornelius ES on May 17, 2018 by HISD Communications. Angel Wilson has been selected as the new principal of Cornelius Elementary School. 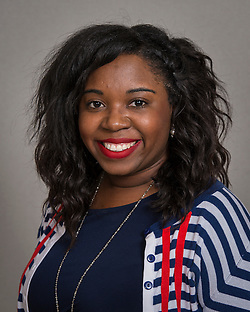 Wilson has served as a teacher and Teacher Development Specialist, and she has a wide range of campus leadership experience in diverse communities such as Durkee Elementary, where she was dean of instruction; Thompson Elementary, where she was assistant principal; and Lanier Middle School, where she was also assistant principal. Wilson holds a Bachelor of Science in Interdisciplinary Studies with an emphasis in Early Childhood Education and a Masters in Educational Administration. Both degrees are from Prairie View A&M University. This entry was posted in Staff updates and tagged Cornelius ES on February 20, 2017 by HISD Communications. Each year, students across the district show off their oratory skills in the annual Martin Luther King Oratory Competition at Antioch Missionary Baptist Church of Christ (500 Clay Street, 77002). This year’s theme, “What would Dr. King say in his campaign speech if he were running for president this year?” will be tackled by fourth- and fifth-graders from several HISD schools on Friday, Jan. 15, 2016, from 10 a.m. – 12:30 p.m.
Now in its 20th year in Houston, the MLK Oratory competition, sponsored by Gardere Wynne Sewell LLP, encourages elementary school students to spread the work and teachings of Dr. Martin Luther King, Jr. through self-written speeches that envision King’s message in today’s world. Students are judged based on delivery, stage presence and decorum, content interpretation, and memorization. This entry was posted in News, Special events and tagged Cornelius ES, Gardere Wynne Sewell LLP, MLK Oratory Competition on January 11, 2016 by HISD Communications. Four hundred forty-four elementary students spent their Saturday at Welch Middle School for the first competition of the 2014-2015 UIL Academics season. Students from Condit, Cornelius, DeChaumes, Highland Heights, Horn, Law, Twain, Piney Point, and Windsor Village elementary schools, along with Energized for Excellence Academy, competed. Horn Elementary claimed first place in sweepstakes. DeChaumes Elementary won second place in sweepstakes, and Twain Elementary took home third place. This entry was posted in Achievement/Recognition, District I - Elizabeth Santos, District II - Rhonda Skillern Jones, District III - Sergio Lira, District IX - Wanda Adams, District V - Sue Deigaard, District VI - Holly Maria Flynn Vilaseca and tagged Condit ES, Cornelius ES, DeChaumes ES, Energized for Excellence Academy, Highland Heights ES, Horn ES, Law ES, Piney Point ES, twain es, Windsor Village ES on October 14, 2014 by HISD Communications.